We urge you to unequivocally oppose any attempts by the federal government to undermine California’s tailpipe pollution standards. The standards must be strengthened, not weakened, to fight climate change, reduce pollution, & save families’ livelihoods & lives. Why Oppose Weakening California Standards? The Trump Administration’s Environmental Protection Agency has announced a plan to force California to lower its standards for cars’ gas mileage to the federal levels – and also to leave the federal standard where it has been for decades. They’ve got the nerve to call it the Safer and Affordable Fuel Efficient Vehicles Proposed Rule for Model Years 2021-2026. It’s dangerous and it’s a big cash gift to multinational oil companies. What’s the point of the Petition? California has typically led the nation on requiring high fuel standards, which reduce air pollution and save drivers money. The Trump administration is challenging California’s ability to set their own standards, standards which have been adopted by other states and historically, adopted by the federal government. Signing this petition signals our elected officials that we have their back as they fight back against Federal efforts to unravel our progress on climate. 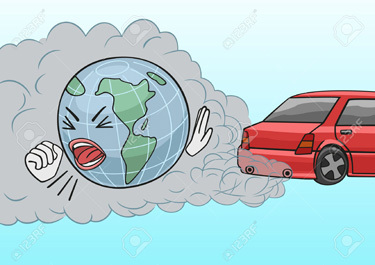 This petition is going to California legislators, asking them to defend our stronger vehicle emissions standards for cars and trucks. Its careful legal language requires California to request a “waiver” to set higher standards, and then states that the waiver “shall” be granted as long as California’s rules protect public health and welfare at least as well as the EPA. This wording has led to untrue claims that the federal EPA can deny the waiver if it wishes. Other states do not have the right to set their own standards, but they can adopt California’s, and many have. In addition, since California is the country’s biggest auto market, its higher mileage standards encourage automakers to provide the better mileage in all their cars. Loss of the California waiver would increase air pollution for 135 million Americans, more than 40% of the nation. To also Comment to the EPA, go to https://www.regulations.gov/docket?D=EPA-HQ-OAR-2018-0283 and click the blue Comment Now! button. More info here.